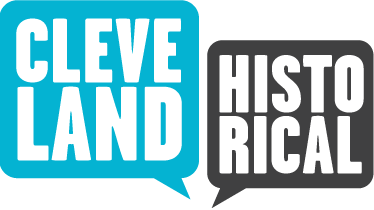 If your ancestor was a Czech or Italian immigrant who lived on the west side of Cleveland, there's a good chance he or she worked at the Joseph & Feiss Company, or at least had a relative or close friend who worked there. A Cleveland business since the mid-nineteenth century, Joseph & Feiss was by 1930 the oldest garment manufacturer in the United States. 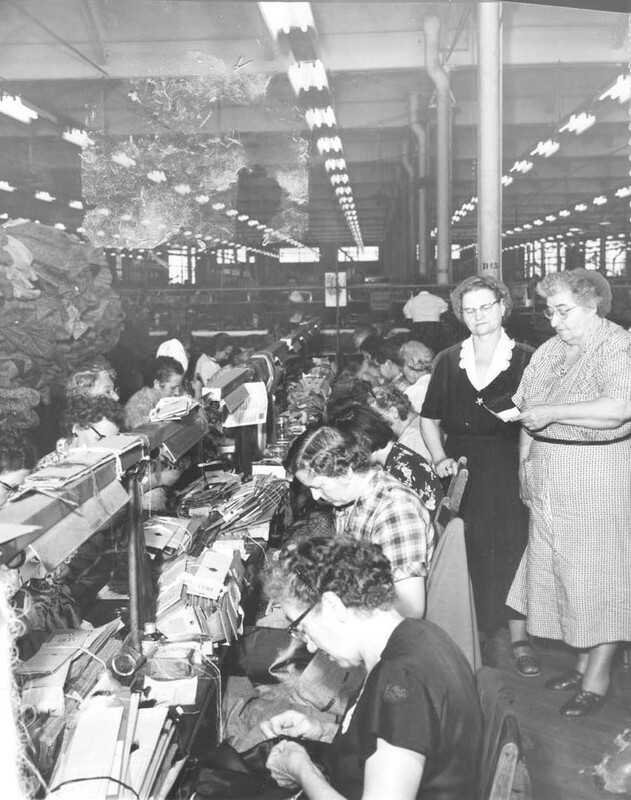 It employed thousands of immigrants and second and third generation Americans at its mammoth plant on West 53rd Street. They worked there until Hugo Boss, the large German concern which had purchased the company in 1989, closed the Cleveland plant in 1998, transferring the remaining workers to another plant in the Cleveland suburb of Brooklyn. Joseph & Feiss was founded in 1841 by Caufman Koch, a Jewish immigrant from Bavaria who moved his clothing business from Meadville, Pennsylvania to Cleveland in 1845--at a time when a lot of merchants, following the completion of the Ohio Erie canal a decade earlier, were moving to the fast-growing city on Lake Erie. In the early years, he operated a small shop at various locations downtown, procuring the garments he sold from immigrant tailors who worked out of their homes in nearby Cleveland neighborhoods. One of those early contract workers was Frank Yidrack, a Bohemian immigrant who came to Cleveland with his parents in 1854 when he was just 4 years old. In 1860, when he was 10, his father pulled him out of school and put him to work at home making garments for Mr. Koch's business. This was the beginning of Yidrack's 60-year career with Joseph & Feiss. For the first ten years he worked out of his house, and, then when the company began to transition to the factory method of operation in 1870, Frank became a cutter in a factory for the next 50 years. The company honored him with a dinner in 1920, and there he told those present a story about the early years of the company. During the Civil War, when he was just a little boy, Frank would travel downtown to the company's offices then on Superior Avenue near West 6th Street, bringing with him clothing that he and his father had made. Caufman Koch would greet him at the door, take the clothing from him and say: "Well, Frank, what do you want now?" "All the money," young Frank would respond. Koch would then laugh and feign indignation: "Oh, no! You can't have it all. We need some of it for ourselves." Frank Yidrack's story probably got some good laughs at that 1920 dinner. But, in addition to being humorous, it was allegorical for one of the most important issues for industrial businesses like Joseph & Feiss in the late nineteenth and early twentieth centuries, Labor-Management relations. Prior to 1909, Joseph & Feiss was a typical garment manufacturer of that era, paying its employees as little as possible and working them for as many hours as hard it reasonably could. But in that year, Richard Feiss, son of Julius Feiss (the "Feiss" in Joseph & Feiss), became factory manager. 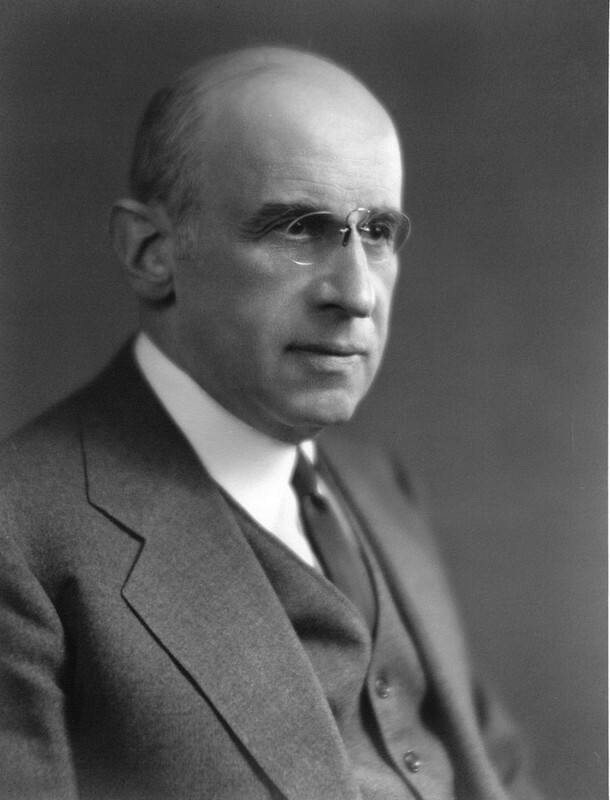 While living in Boston from 1897-1904 and obtaining his undergraduate and law degrees from Harvard University, Feiss had become a disciple of Frederick Taylor, the well-known industrial efficiency engineer of the late nineteenth century. 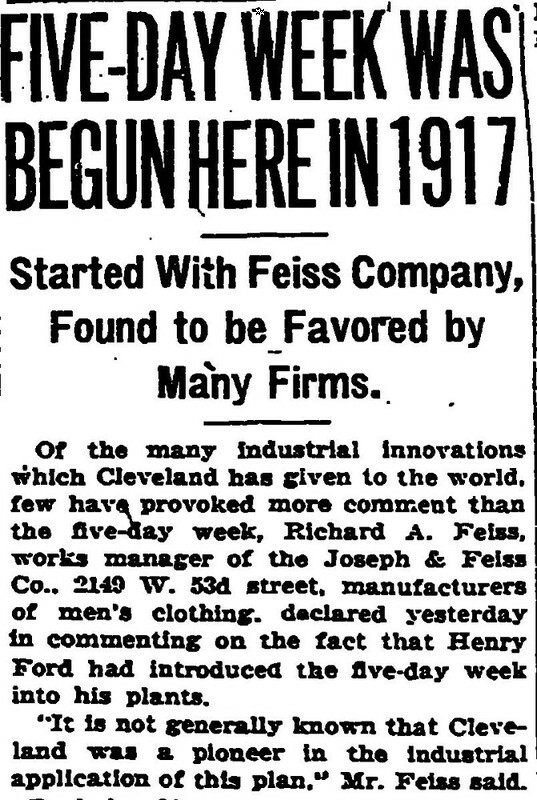 When Feiss returned to Cleveland, he set out to manage the company's work force in a manner that would maximize productivity but at the same time create a humane work environment that would keep workers healthy and happy. 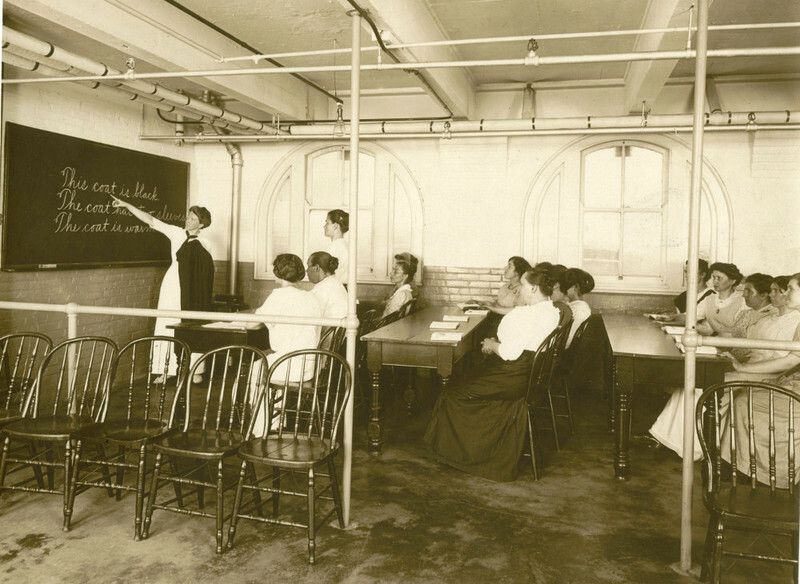 According to Cleveland State University historian David Goldberg, Feiss accomplished this by joining together Taylor's principles of scientific management with Progressive era welfare capitalism, establishing a work environment at Joseph & Feiss that many at the time viewed as the most progressive in America. Feiss, with the assistance of Progressive era reformer Mary Barnett Gilson whom Feiss made head of the company's employment and services department, redesigned the chairs employees sat on and the tables they worked upon to reduce injury and fatigue; provided employees with well-lit and well-ventilated work areas; sponsored employee dances, picnics, choral societies, clubs, orchestras, and athletic programs; provided medical and counseling services; established employee savings programs; awarded promotions based on performance; and increased wages. 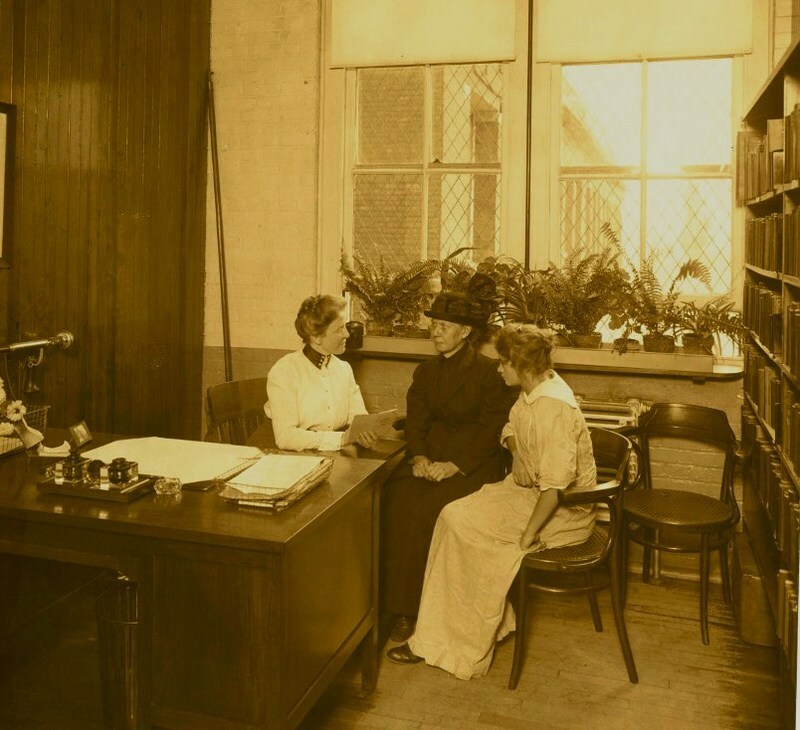 In addition, in 1917, Feiss introduced the five-day work week for employees at the company's plant, several years before Henry Ford, often cited as the first industrial employer in the United States to do so. Perhaps it was progressive policies like the above that kept Joseph & Feiss a non-union shop in the decades of the 1910s and 1920s--a time when garment manufacturers in New York, Chicago, and elsewhere were fast becoming union shops. 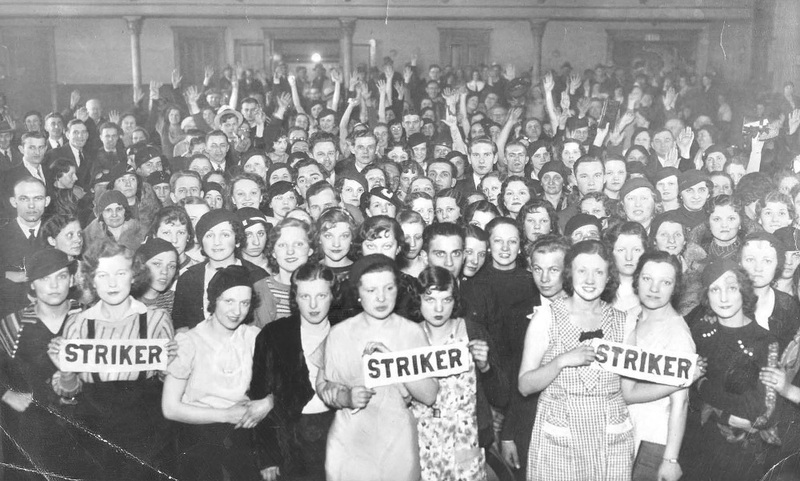 It wasn't until 1934, during the Great Depression and almost a decade after Richard Feiss was forced out of the company in 1925 by his father and older brother, that the American Clothing Workers of America, finally won the right to bargain for and represent the garment workers of Joseph & Feiss. 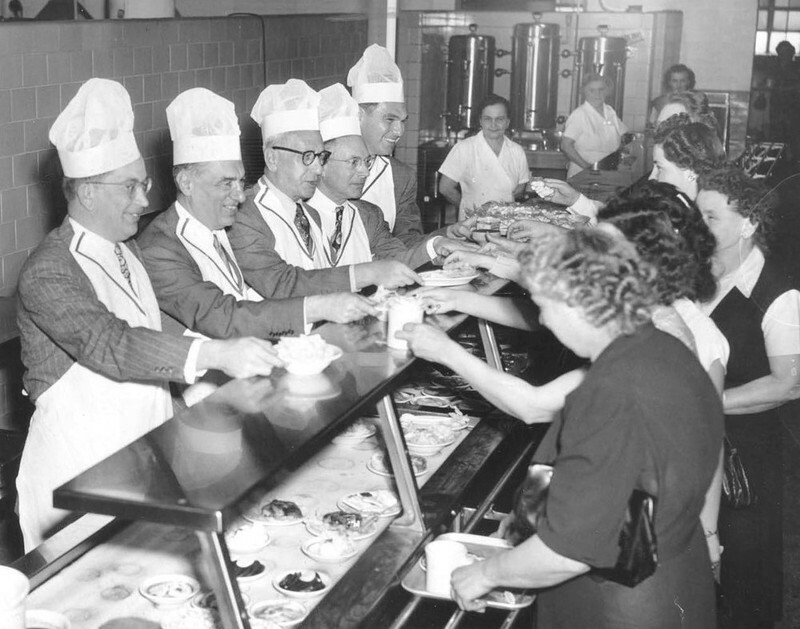 Joseph & Feiss would remain one of Cleveland's largest employers for another five decades, employing over 2,000 employees at its West 53rd Street plant throughout this period. Eventually, however, new plant technology, cheaper labor sources, and changing markets ended the company's 150-year run in Cleveland. In 2003-2004, several years after the plant closed operations, the main factory building was razed, leaving on the site today only the company's office building on West 53rd Street and its massive warehouse building near the intersection of Walworth Avenue and Junction Road. In 2015, the warehouse received new life when it was purchased with the intent to make it the new home of Menlo Park Academy, a charter school for gifted children. After $17 million in repairs and renovations, the school opened its doors in the historic building in the Fall of 2017. 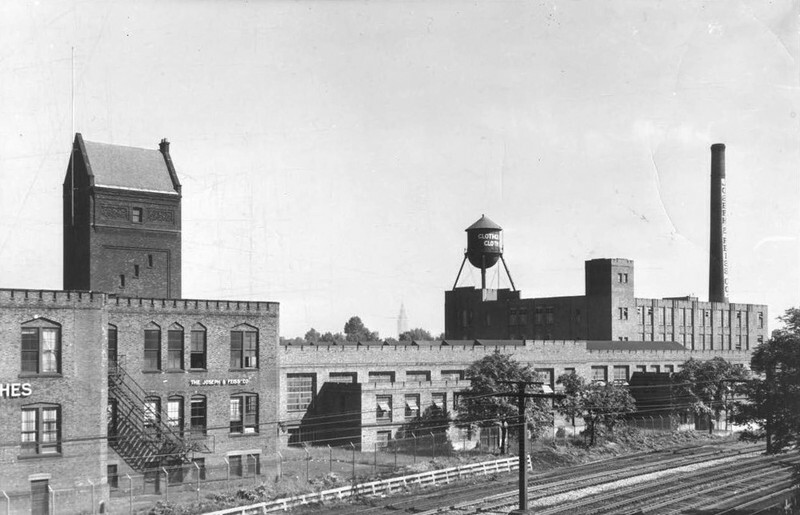 Moving to the West Side: In 1900, Joseph & Feiss--then known as Goldsmith, Joseph, Feiss & Company, purchased land on the east side of West 53rd Street and began building offices, a factory building and a massive warehouse. By 1920, the huge complex of buildings covered seven acres of land just south of Walworth Avenue. This photograph, taken on August 1, 1941,presents a southerly view of the complex from the nearby Big Four railroad tracks. 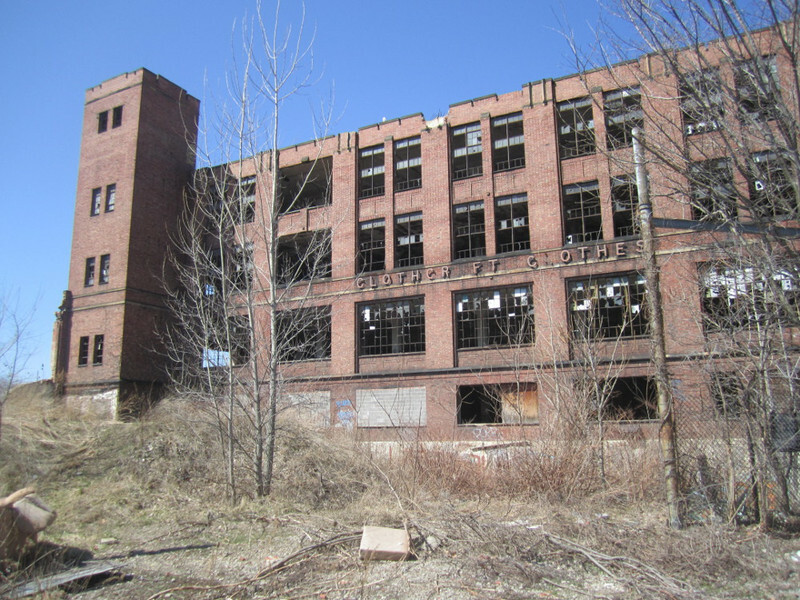 The two-story building in the center of the complex is the factory building, which was razed in 2003-2004. Image courtesy of Cleveland State University, Michael Schwartz Library, Special Collections. 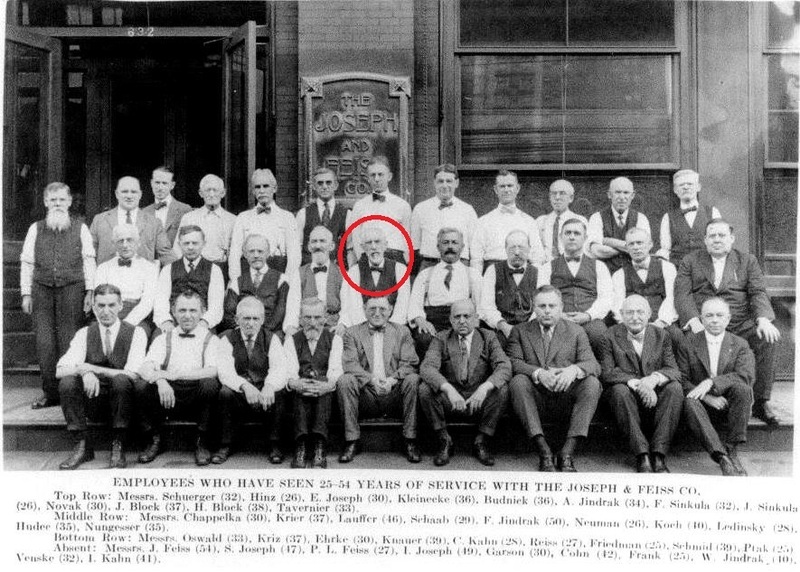 Jim Dubelko, “The Joseph and Feiss Company,” Cleveland Historical, accessed April 18, 2019, https://clevelandhistorical.org/items/show/653. 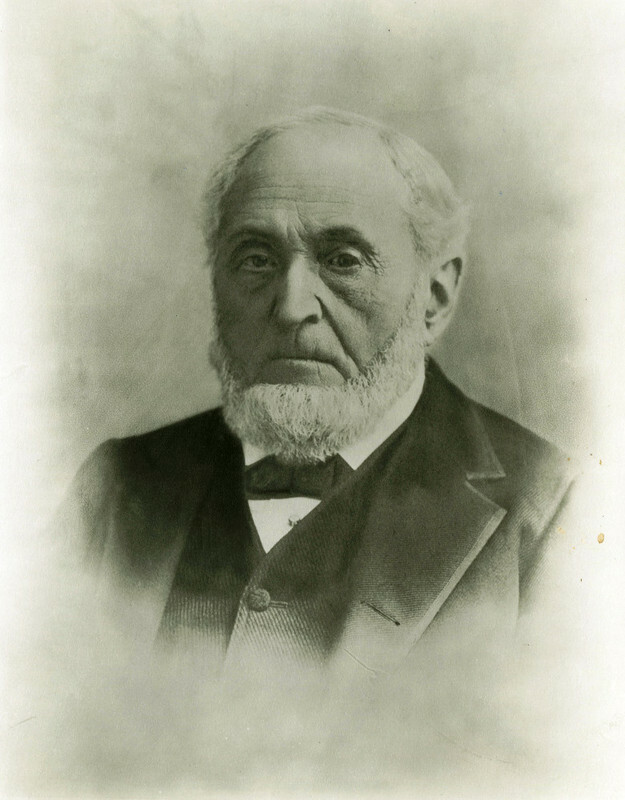 Goldberg, David J. 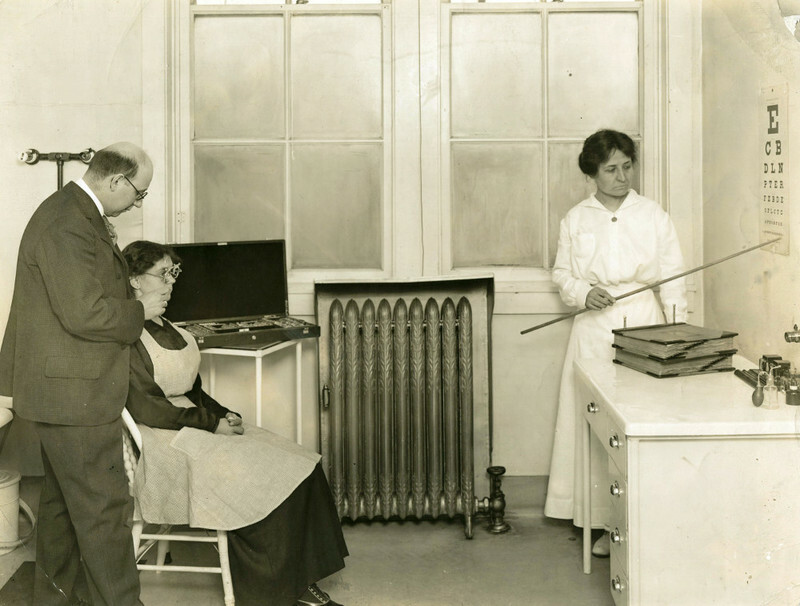 "Richard Feiss, Mary Barnett Gilson, and Scientific Management at Joseph & Feiss, 1909-1925." In A Mental Revolution: Scientific Management Since Taylor, edited by Daniel Nelson, 40-57. Columbus: The Ohio State University Press, 1992. Published on Apr 20, 2014. Last updated on Sep 29, 2017.